1. 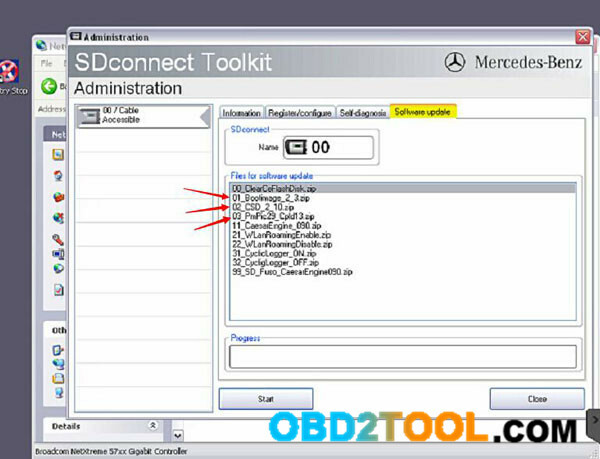 Question: can clone MB SD C4 support Mercedes online SCN coding? The answer is yes. Newest MB SD C4 2019.03V / 2018.12 can perform online SCN coding perfectly as long as you have online software account or buy one-time SCN coding service. 1.) After ordering this service, prepare mb sd c4, car, laptop and teamviewer. 3.) The engineer will access to your laptop to authorize SCN coding function. 4.) After finish, the system will display “The SCN coding sequence has been completed successfully”. Here is some feature about eCom, MB Star C4 and Xentry Connect . Hope can help you choose right tool. eCom – laboratory\development tool. Most cheap and light. Can’t be used with DAS\HHT vehicles. Does not support kline communication. Need to be specially setup on any diag sw installation. SDConnect C4– workshop\robust tool. Most universal in use. The only limitation is kline communication in Vediamo from ver5* Easy to setup. In most cases work as is. 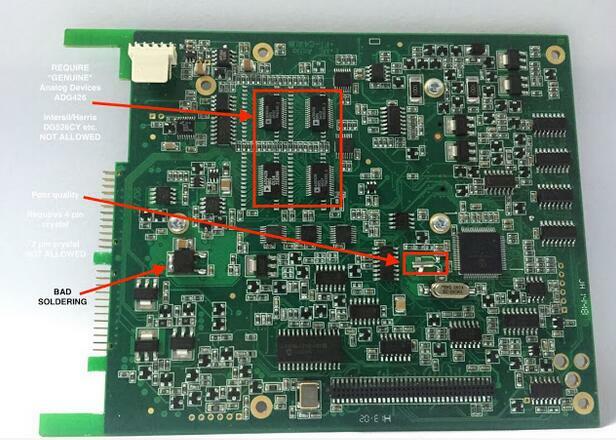 As for China clones, SDconnect has the best PCB design, the winner. 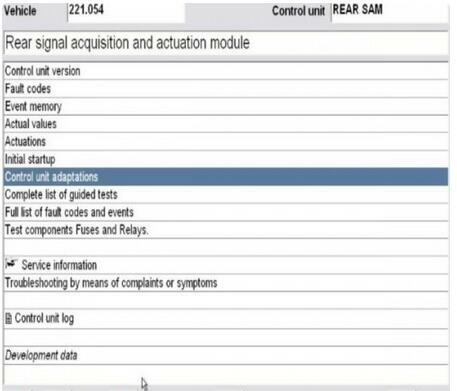 Stardiagnos Connect – workshop\robust tool. Very big and heavy. Most expensive. Similar to SDConnect because it is like PC+multiplexer in one housing .Has very specific setup as update blue ray disk has not installer but full HDD image with OS + user application. Complicated in installing additional software as you do not have direct assess to operating system. Mention MB SD Connect C4, it seems that there’s a lot of different manufacturers and quality levels of multiplexer clones. Here’s the one I went with, however I didn’t bother with the HDD/software they included or a dell D630 laptop. I have a background in computers, so I set myself up a vmware virtual machine and installed all the software with the (occasionally somewhat difficult to follow) information on mhhauto. I have heard of people having problems using VMware, but I didn’t experience any myself. P.S I will warn you that if you’re not very familiar with computers/configuring software/some basic computer networking (IP address assignments, etc), you might have a hard time getting everything to work. Definitely look into the details of getting everything set up before buying. I wish there were a complete and total guide to setting up everything (go to last part for details). Getting everything working properly took quite a lot of reading and searching, and a couple of days of tinkering. Patience is a plus.. if I had to compare MB Star C4 to something else in terms of difficulty (computer-wise), I’d say it’s similar to setting up a microsoft exchange server without errors. 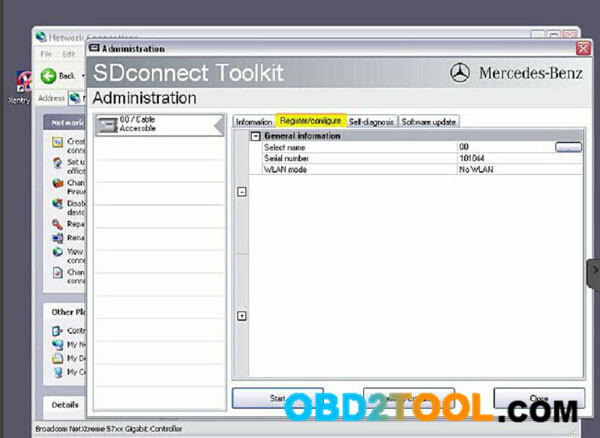 I’m in the market for an MB SD Connect C4 mercedes benz diagnostic tool and have been trying to spend my time doing some homework to avoid getting a garbage unit. I certainly can understand what a lot of people have been saying about the widely varying quality that’s out there. I am a EE and PCB designer, so I’m trying to make use of that knowledge to select the best unit that I can. In this first photo, I’ve outlined some things I feel are important to note. They have a set of 4 analog switches on the PCB. 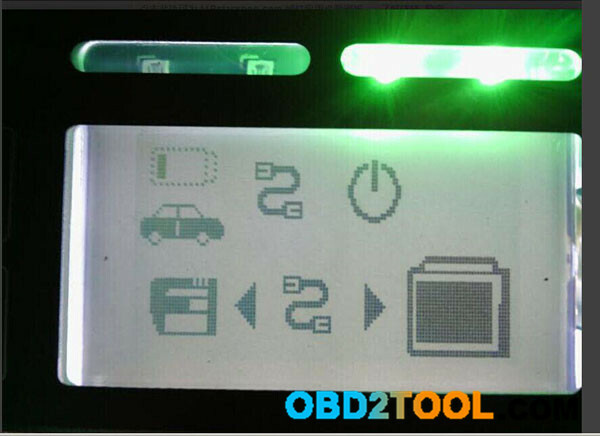 In this photo, they are ADG426 from OBD2TOOL. I’ve seen some clones that use DG526CY from Harris/Intersil. The DG526CY, besides being completely obsolete, has an typical RDSON of 270 ohms vs 80 for the Analog Devices part. It also has a -55dB isolation vs -75dB for the AD part. In short, the AD part is just a much better mux. So with that said, I would insist on any unit I’m interested in using those. 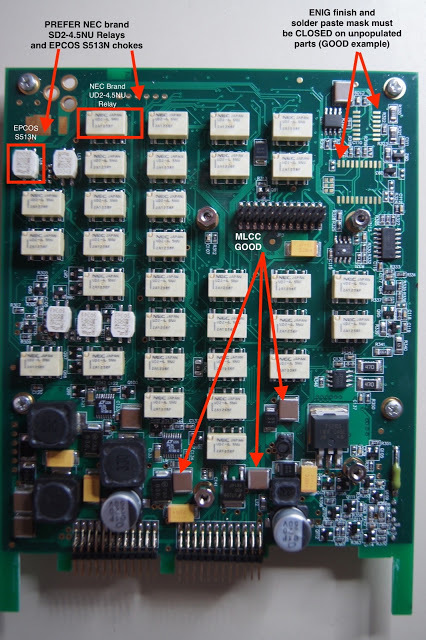 This next photo is of the relay PCB — I think one of the MHH members posted this from an original SDC4. There’s this example ‘FT-C4-LCD’. I’ve seen another ‘LCD V1.1′ variant as well. The biggest thing with this board is that it’s a HASL (hot air solder level) finish. Granted, this is not the most complex PCB in the world by a long stretch, but it just goes to show you how for these companies will go to save every last penny. 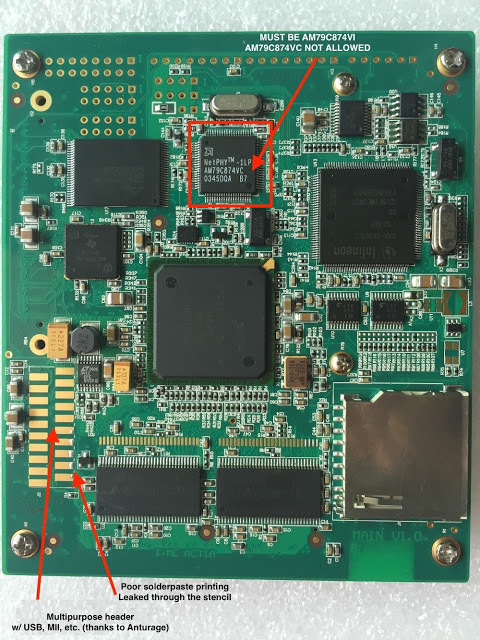 Although I haven’t seen the back side of one of the ‘FT-C4-LCD’ variants, the ‘LCD v1.1′ variant seems to use some ST microcontroller. Maybe the FT-C4-LCD has one on the back? Please understand that none of us want to buy a unit, have problems, and have to deal with sending back to China and playing games with you. All anyone wants is a high quality car diagnostic scanner that will work reliably for years. It is better for you and for us to pay a little more up front and get a better quality product. Since you go to great lengths to obscure your production sources, it becomes your job to communicate to them that poor quality is not acceptable. 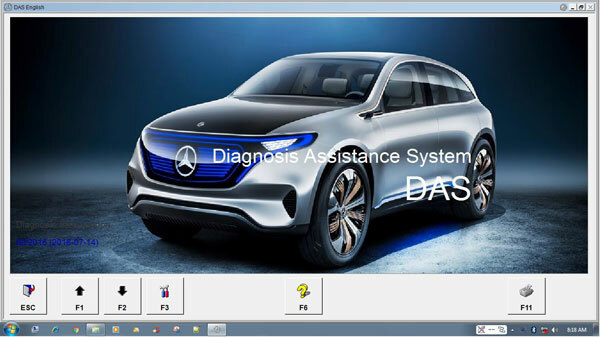 Like many others I had a long, long struggle getting my Mercedes Star Diagnostic XENTRY-DAS setup working and thought I would share some of the learning to the forum. There are many non-factory setups available with prices generally ~$600 for a C3 Star Multiplexer, cables, Dell 630 (built-in RS232 port), already loaded HDD. I didn’t want to spend that much and shopped on-line acquiring an external USB HDD with 05-2015 software and VMWare loaded. I acquired the Mux from NaHai Tech. Apparently these Multiplexers are Actia derivatives with the same serial number (6511100299), Part D4. I got the RS232 and OBD cables separately from other vendors as well. I am using a Dell Inspiron 15 laptop with Windows 10. Optimistically I connected it all up to the car (2004 W220.170, S430) but did not get the green “Connected” icon in the desk band. Rats. However the SDConnect Toolkit showed the Mux as “Part D” but “no connection”. So at least the computer sees the Mux. I had read all the caveats on the forums about RS232 cable type, setting COM Port 2, setting low serial bit rate, fake RS232-RS485 modules on the serial cable, and that engine diagnostic tool C3 Part D is unsupported post 09/2014. I started troubleshooting with the USB RS232 cable and tried one with FTDI and one without. To be certain they were communicating through VMWare I connected each to the serial input of an old IBM w/ serial port and used serial bus comm software to send/receive data from each computer. So I know either cable will work (if sometimes temperamentally). My version of VMWare Workstation (10.0) requires a “Removable Device” (which can be a thumb drive if you want to import data, or the DVD drive, or USB cable) be selected from a “VM” menu drop down. Its imperative that VMWare recognize that you want to disconnect from the host and put a check-mark by the device listing after the dialog comes up asking permission. Likewise when if you switch to the host (ie Win 10 in my case) the device (i.e. USB serial cable) won’t be available unless you disconnect VMWare’s use of it. So the problem must be in the Mux itself or a cabling issue beyond the serial cable. After much screwing around and getting nowhere I finally contacted the vendor through their AliExpress contact portal. They were quite responsive and helpful. The HDD came with TeamViewer and so one night in the wee hours I setup the system and after several hours (arg!) the Chinese tech operated Teamviewer and evidently changed some Config settings. The green comm light came on the deskband!! Eureka. Short lived. When I restarted VMWare nothing worked again. NaHai said it must be a software problem, to purchase a plug-in HDD from them. With so much time invested I decided to get another C3 Mux and RS232 cable, from OBD2TOOL this time, the problem must be with one or the other. Shipping was quite fast actually and in a week or so I had the new setup ready. While waiting I investigated the Mux internals for bad solder joints and mapped the pinouts of the serial cable. I’ve worked with RS232 and RS485 in the past and this wiring is non-standard, to my head scratching. With the new Benz diagnostic tool C3 Mux and new RS232 (but theirs comes with a converter box RS232-RS485, and it has internals) I connected it with my VMWare setup and it works! I can operate Xentry and diagnose the problems with my car – and there are several. I tried the original Mux too and it works fine as well. Patience pays. The supplier’s directions for setup and operation of this complex system is lacking. And it is, as everyone has commented many times, a very complex set of electronics and software!!! But anyone with an older Benz and limited budget (i.e. why not buy a new Benz if the budget isn’t limited!) will treasure the XENTRY/DAS‘s abilities and save a lot more money in the long run. 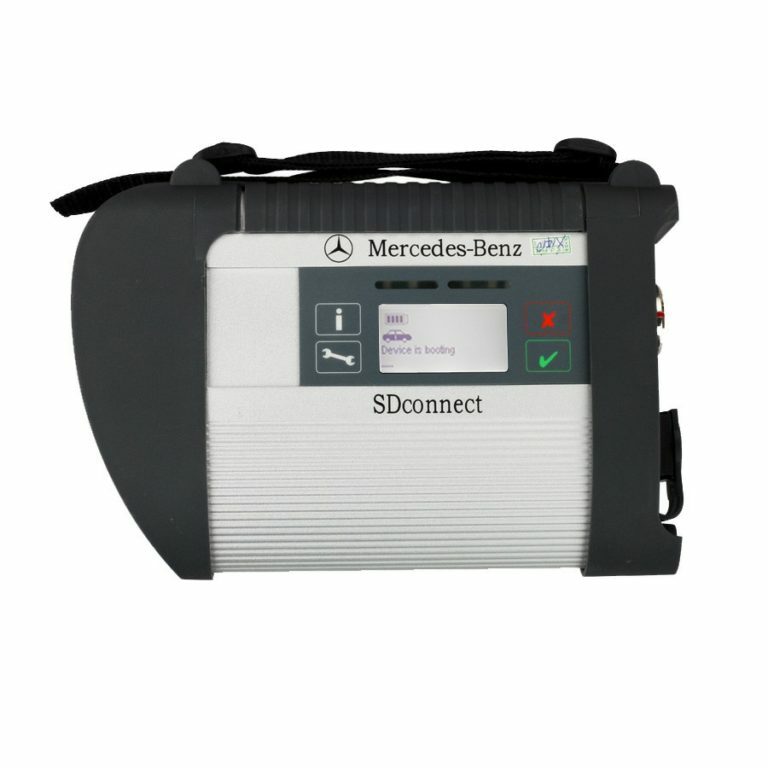 2017.07 software works with MB Star Diagnosis MB SD Connect Compact 4 for the latest Mercedes Benz cars and trucks. The new generation Star Diagnosis compact 4 is the latest Mercedes Benz diagnostic equipment on market for all MB vehicles, new and old. 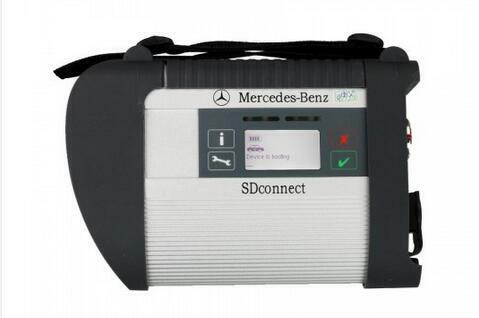 MB SD Connect C4 has been updated to the version 2015.7, which works with MB SD Connect Compact C4 and supports the latest Mercedes Benz car and truck models. Do you succeed in update the firmware? Recently, some users has consulted the update error report. Here is the instruction and solution for sharing. 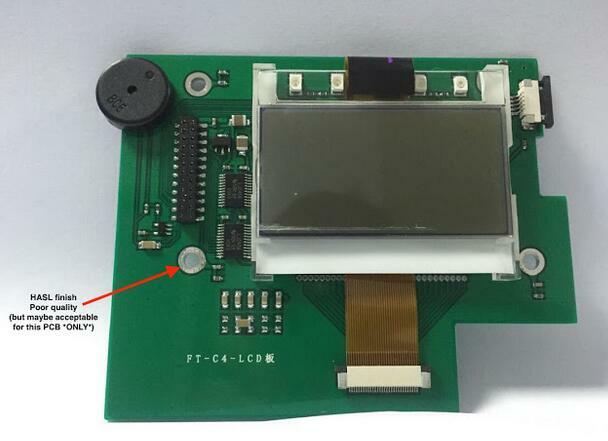 The error report of MB STAR Connect Compact4 diagnostic tool is usually because hardware program of the host is deleted that wifi and SDC4 number cannot be setting up. 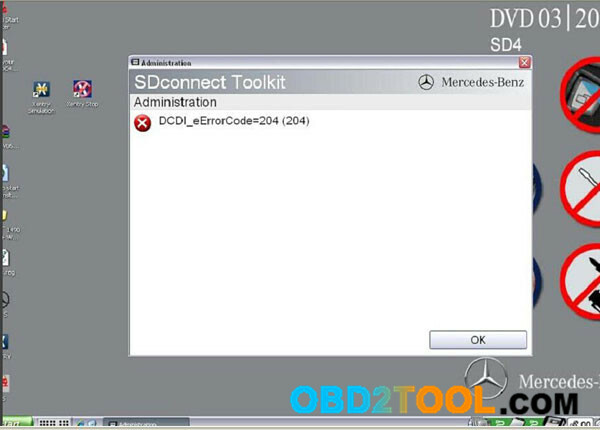 Here is some solution for update error report to help you update V2015.07 smoothly with New MB SD Connect C4/C5 diagnostic multiplexer.